Welcome to Guardian Hurricane Protection in Lehigh Acres, FL. 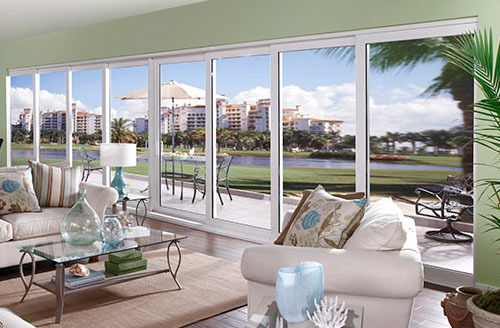 For years, we have been providing homeowners and business owners in Lee, Collier, and Charlotte counties with high quality window replacement, entry doors, sliding glass doors, french doors, and hurricane shutters. 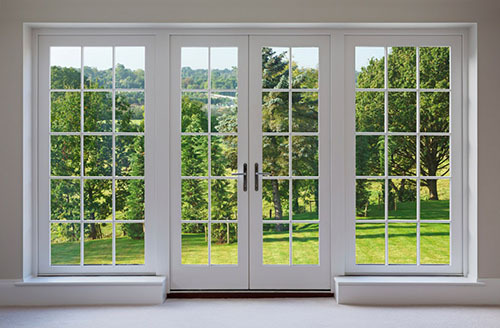 Are you looking for a functional window that could serve your purpose and beautify your home? 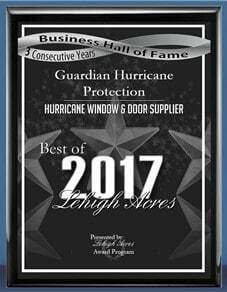 Here at Guardian Hurricane Protection, our variety of windows will be your aid. You have been wanting to match existing units or higher design pressures for their windows. 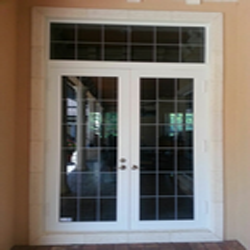 You want a cost effective, long lasting, and versatile solution to windows with wood or aluminum frames. 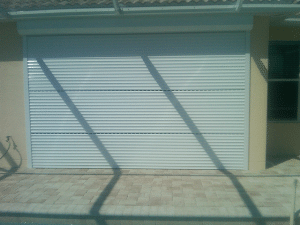 You want a 24 hour protection against hurricane and an excellent alternative to traditional storm shutters. To give you a quality service, we only trust products from CGI Windows and Doors, PGT, WinDoor Inc., and Custom Windows and Doors. For our door supplies, Plastpro, BHI Doors, ODL Inc., Windsert, and Masonite International Corporation are our main and trusted supplier companies. Our years of experience provide us with knowledge about the importance of working with integrity and reliability. Our only goal focuses on the satisfaction of clients with our products and installation work. Guardian Hurricane Protection is a fully licensed and insured State of Florida Certified General Contractor. We offer every type of severe weather product for a solid protection. 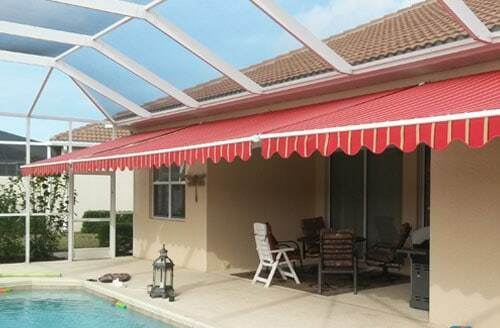 Call us now at 239-438-4732 or 239-244-2015 for a free quote. We also offer free in-home consultation. We are serving locals in Bonita Springs, Cape Coral,Estero,Fort Myers,Lehigh Acres, Marco Island, and Naples. 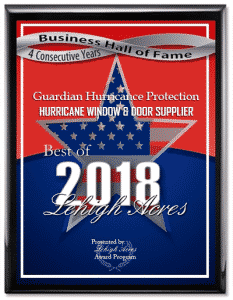 Contact Guardian Hurricane Protection Now! Great talking to you today. As I mentioned we’re extremely happy with both the window quality and the professionalism of the install. Completely exceeded our expectations! We will be ordering more windows in the near future! I’ve attached 2 videos. The short video (1447) was taken 3 hours before the eye wall hit and was the video shown on WINK news. The larger video was taken as the eye wall hit and winds were about at the maximum level. All of our other windows on this side of the house leaked quite a bit of water. The 2 windows and french door just installed experienced 0 wind driven water coming through! You can’t get a much better testimonial on the windows than a Cat 4 hurricane eye wall direct hit! I hope the video helps you sell some windows! We would also be happy to provide a reference to any potential customers. Thanks again and we look forward to continued business with you! “Daniel, Just a note to let you know how glad John and I are to have had Guardian install our windows and doors last year. John was at our home during the height of the storm and said he was amazed at how muffled the sounds from outside were and that we experienced no water seepage.. Just want to let you know we are very happy with our decision to use your company. It was a very timely ‘great decision’. “Thanks for all the hurricane posts Tommy & Christi Fiebelkorn. Very helpful. Stay safe. We feel really safe with our shutters you installed. We love them. 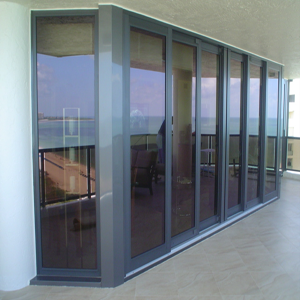 “We are extremely pleased with our hurricane sliding glass doors that were installed by Guardian Hurricane Protection. 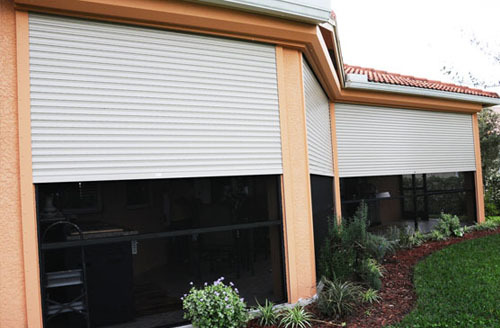 The large selection of displays in their showroom was extremely helpful in visualizing how the products would upgrade the appearance and functionality of the hurricane shutters that were replaced. The extensive experience of co-owners Tom and Mark was invaluable in achieving the maximum view through the doors. 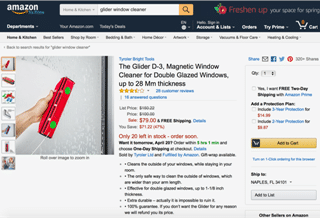 Their suggestions also resulted in accessibility for cleaning the outside portion of the glass as well as clearance should the screens ever need to be replaced. Every member of the Guardian team was courteous, helpful, responsive and meticulous. The installation team worked well together with efficiency and carefulness that would be expected if each person owned the business. 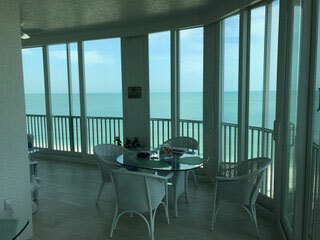 We thoroughly enjoy the view and using the lanai year-round.